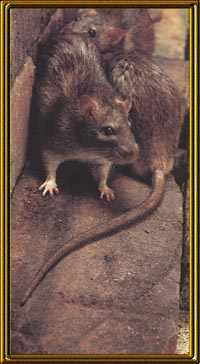 The brown rat is to be found in most parts of the world but is believed to have originated in eastern Asia, from whence it spread partially on foot, and partially by ship. It came to Europe relatively late, probably around the 18th century, but when it did it spread extremely rapidly, and is still doing so today. Some estimates give 5 rats for every human being on the earth.....Scary..!!. and that wherever you are, there is a rat within 15 metres. This animal is a survivor but is mainly found in close contact with man. 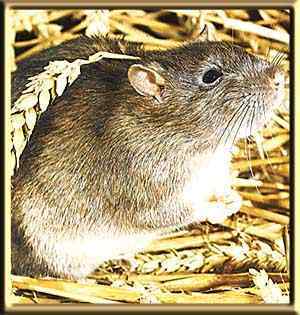 Thus we find ratty in warehouses, buildings, farms and more often than not, in roof spaces of houses. Some schools of thought say that rats are not good climbers.. rubbish .. quite frequently have I met these chappies in roof spaces, ideal with lots of nice insulation to make nests with protection from the winter cold. Then what do you know?, a quick journey down the wall cavity following their noses, and hey presto! !, they end up in your kitchen probably because hubby left a gap round that outlet pipe when he plumbed in that new dishwasher...ooops!!. Brown or Norway rats are basically nocturnal, although some individuals can be spotted during the day in highly populated areas. It would seem that these are low-ranking in the social structure and have been denied access to food by the dominant rats during the night, when most activity takes place. Their diet is extremely broad, and they will almost anything that is edible, with a food preference for grain. They eat more meat than the Black rat, and if they get the opportunity, they will eat carrion and will prey on other animals. 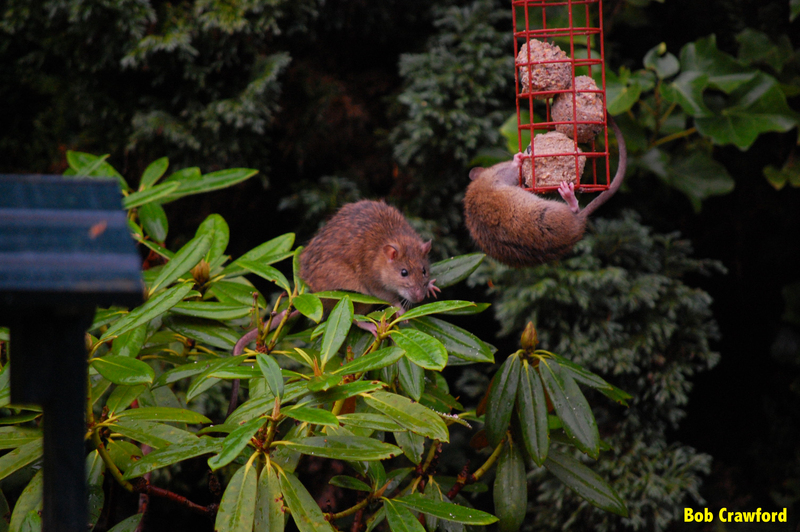 In the wild, brown rats will eat snails, insects, crustaceans and freshwater shellfish. 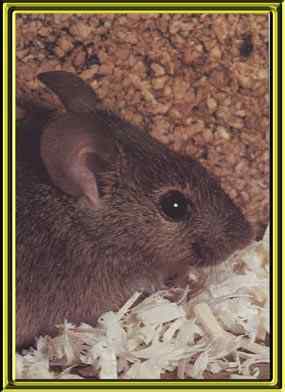 They also attack nestlings and eggs of water birds, and they eat small vertebrates such as shrews, mice and voles. In times of extreme privation, they will even eat other rats - usually sick or weak individuals - but this is rare. They frequently infest public tips, slaughterhouses, domestic dwellings, warehouses, shops, supermarkets, in fact anywhere there is an easy meal and potential nesting sites. If you see one running about in say a warehouse, you will notice that it always runs along the wall/floor junctions, unless of course you are trying to batter it to death with a shovel. This is because rats have a sense which tells them exactly where they are, a bit like you going into your dark bedroom and turning on the light, you know just where the switch is. This sense is more developed in rodents and if startled, they know exactly where their line of escape lies. They also love and adore fat balls and grain and the types of food that you lovely ladies put out for the birds....if you do, you must make sure that the food is unable to be reached by overhanging trees/bushes or undergrowth or up the leg of a wooden bird table....etc etc. Consumption of food is approximately 30 grams per day. Will drink approximately 60 ml of water per day. The only species to occur in sewers in the UK. 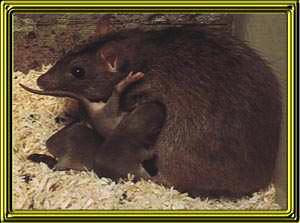 The lady rat is only pregnant for 3 weeks (Gestation period). This lady can have between 3 to 6 litters per year, depending upon food availability and harbourage. After a period of 10 to 12 weeks, the babies aren't anymore, and so they breed on. Thank God the natural mortality rate is about 90%. They also leave about 40 droppings/day....!! think of the bill in toilet paper..
the muscles to form cysts that are often resistant to drug treatment. 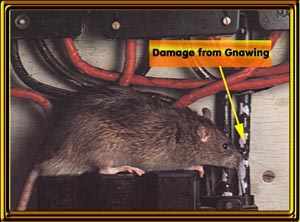 you have been in an area where there are rats, then you should seek immediate medical advice. Affects the liver and kidneys. cotton rats. This disease is much more deadly, causing flulike symptoms that can lead to fluid accumulation in the lungs and death. Here are a three pictures of the lads about town, the bigger one is a picture of the boys on their way back from a wedding party. The middle picture shows one of the party snacking at a local deli, after being unable to get a carry out..! Seriously, it shows the damage that can be done if problems are not controlled, luckily these cables are armoured. The last one is just a passport photo...!